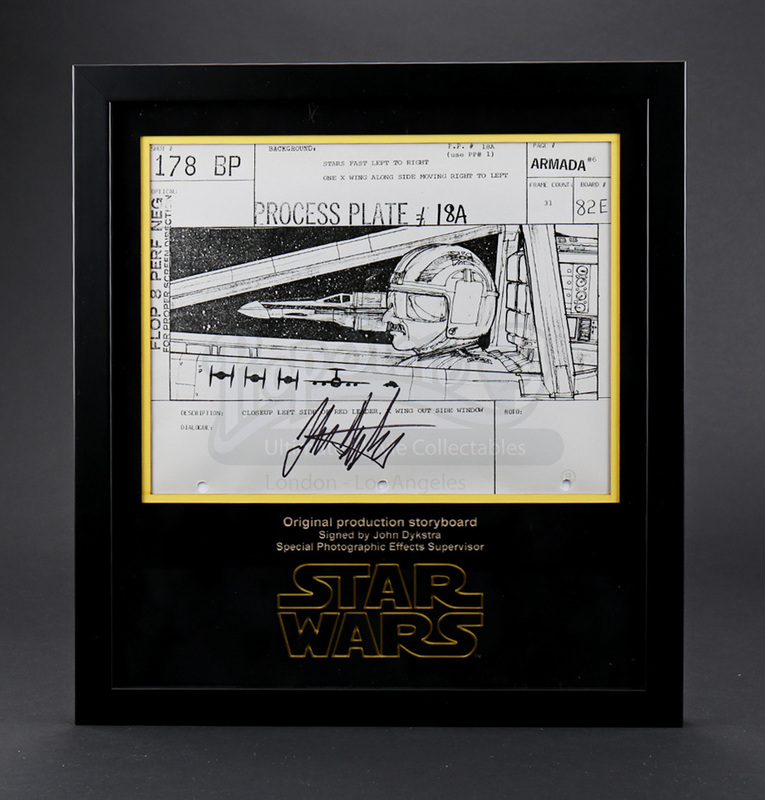 A signed and framed storyboard copy used in the production of Star Wars Episode IV: A New Hope. 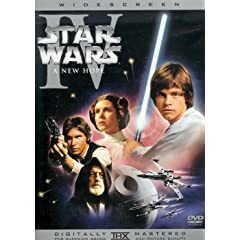 The production-used copy has a printed description beneath the illustration, and is printed on US letter-sized paper. It is hole-punched at the top, indicating that it would have been held together in sequence with the rest of the storyboard pages. 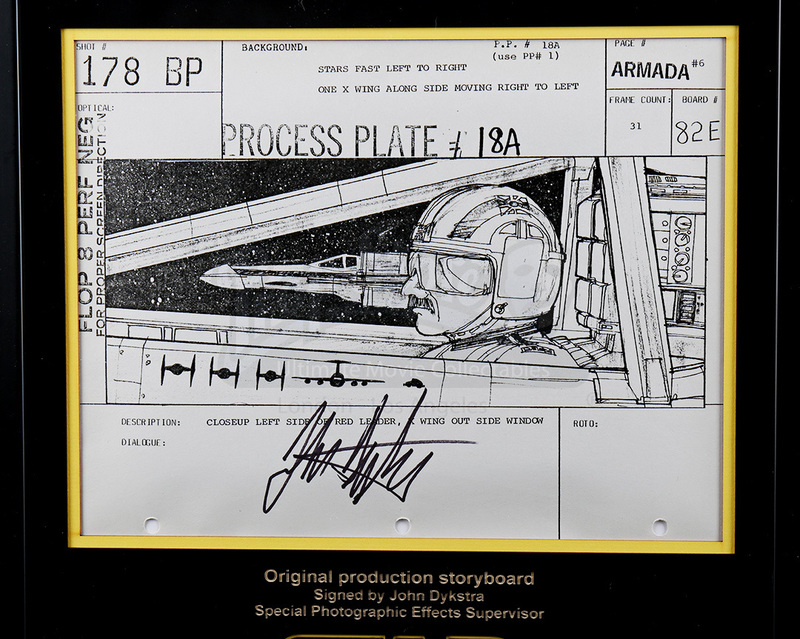 The board is signed by special effects supervisor John Dykstra. 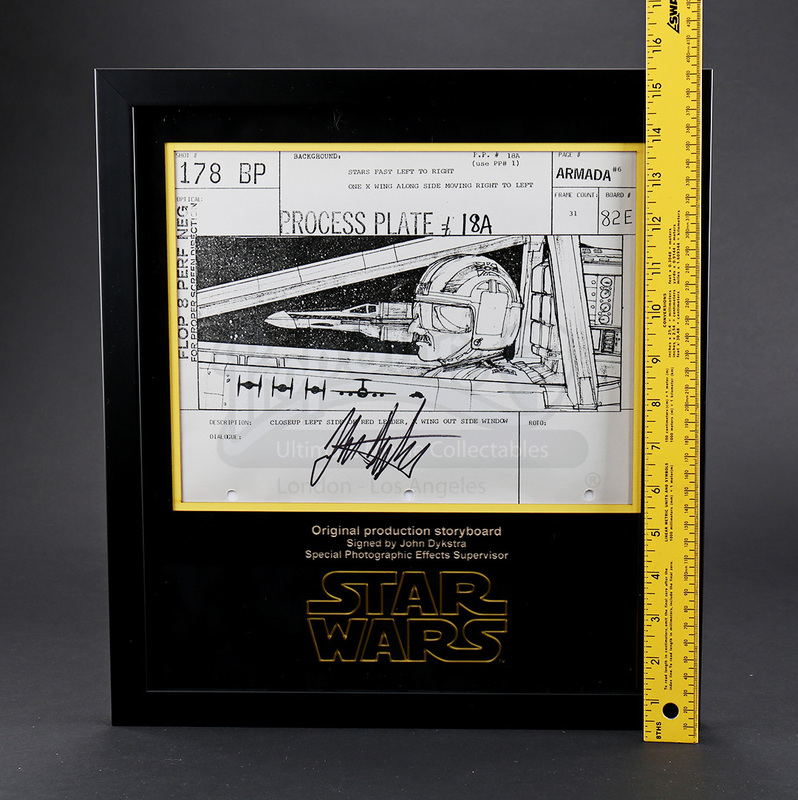 Dykstra is known for his influential work involving many of Star Wars' most groundbreaking technical scenes. It comes framed (15.5" x 14.25" x 1") in a custom built display with laser-cut mount board etched with the iconic movie title.